Puerto Vallarta, Jalisco – If the thought of organizing a wedding for 150 friends and family sounds daunting or the budget is just out of reach, eloping is a practical yet romantic option for couples that can’t wait to say “I Do”. 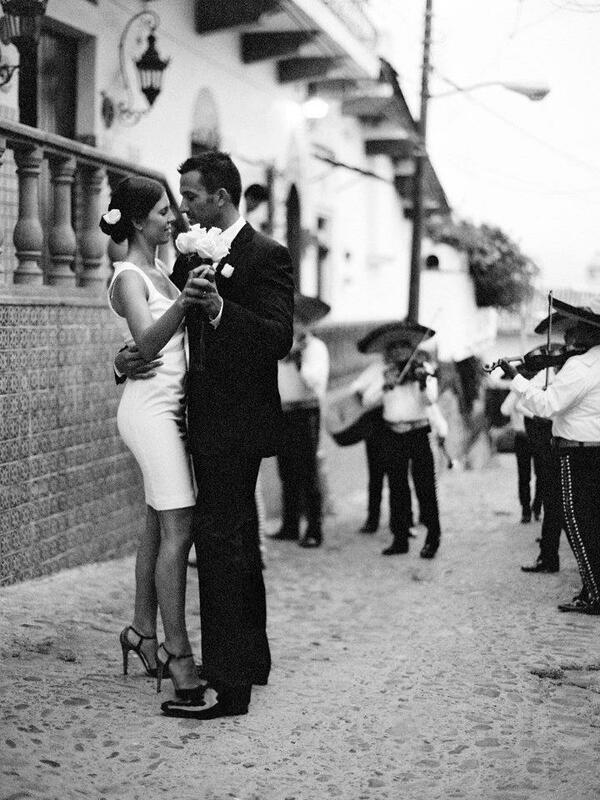 Mexico Boutique Hotels, a full-service online hotel collection, makes planning easy with on site concierges, customizable packages and hotels offering a number of elopement options across Mexico, an already popular destination for weddings. Hacienda de los Santos – Alamos, Sonora. starting at $1,406 or other individually unique accommodation options. Las Palmas – Huatulco, Oaxaca. This luxurious hotel overlooking Violin Bay, combines a Caribbean feel with Mexican detail in its five casitas and three villas. A wedding concierge will help organize everything from the ceremony, celebration, wedding license, airport transfers to flowers and photography. The Elopement package includes an indulgent couple’s hot stone massage, mud treatment, a romantic turndown service, and breakfast and dinner for two served on the private terrace adding to this already special occasion. The package for two guests for two nights in the best available accommodation starts at $1,000, and a wedding party of up to eight guests for two nights in a villa accommodation, starts at $2,300. Hacienda San Angel – Puerto Vallarta, Jalisco. breakfast and a romantic turndown service including chocolate covered strawberries and sparkling wine. The package for two guests for two nights in the Presidential Suite starts at $5,575. Viceroy Riviera Maya, Quintana Roo. This seaside refuge is hidden in the small village of Playa Xcalacoco and offers a serene and truly intimate setting for an elopement. The luxury resort’s guest experience is infused with the traditions of the ancient Mayans, and the ceremony is no exception. An authentic shaman from a long lineage of Yucatan shamans conducts the Mayan Kamnicté Wedding, where couples fully embrace a new union together. The beach gazebo ceremony is followed by a romantic three-course dinner on the pier overlooking the water, decorated with Mayan inspired flowers, torches and music. The Mayan Elopement Package includes the above and two nights in a spacious luxury villa with private plunge pool starting at $1,485. Hacienda Xcanatun – Merida, Yucatan. Privately owned and operated, this 18th-century hacienda was restored over a course of five years to revamp the Old World colonial style with luxury amenities. Meet with the romance coordinator to find the perfect location for the ceremonial Maya Wedding Blessing, with plenty of options to choose from across the nine acres of tropical gardens, or opt for the charming chapel. A celebration and special keepsake follows the blessing, and couples can enjoy fine dining at the renowned Casa de Piedra restaurant. The package includes all ceremony coordination, flowers, photography, wedding cake, and luxury airport transfers as well as a couples hot stone massage at the holistic spa and turndown service pre or post ceremony. The package for two guests for two nights in a suite of your choice starts at $2,200.